If you're looking for historic homes with modern-day amenities and city flair, look no further than Riverside/Avondale. 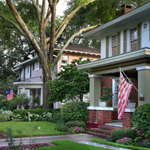 Riverside/Avondale is the largest National Historic District in the U.S and offers something for every price and lifestyle. 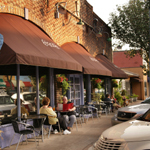 Riverside/Avondale is one of Jacksonville's most pedestrian-friendly neighborhoods offering condos and apartments within walking distance of trendy shops and eateries including two of the city's best parks, Memorial Park and Riverside Park.